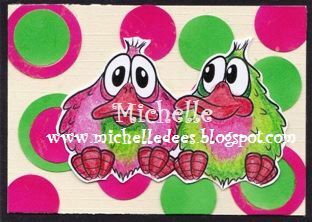 I made some ATC for you. 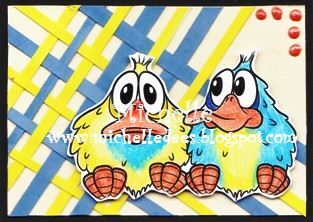 I love bright colours and these funny and cute Quackers. So I made some bright ATC. These cute guys can your find HERE. Want to find some other cute or funny digi's, take a look HERE. Have a great weekend and see you. Fabby cards, love the bright colours. Christmas Chris & his Onesie.